(Above) A scene from the "Pagpag" television plug of ABS-CBN's The Correspondents, which won a Silver Medal Award for Best News Promotion at the 2010 New York Television & Film Awards; (below) Richard Gutierrez hosted the GMA-7 documentary Planet Philippines, which was awarded a Bronze Medal for Environment & Ecology. Three Philippine entries bagged a Silver Medal and two Bronze Medals during the 53rd New York Festivals International Television & Film Awards held last Monday, May 3 (U.S. time) at the Penthouse Lobby of the American Airlines Theatre in Manhattan. ABS-CBN's The Correspondents earned a Silver World Medal for the News Promotion category. In the TV plug for the documentary "Pagpag (Leftovers)," the News and Public Affairs program featured a kid opening a casserole filled with leftovers which encapsulated the episode's main thrust on how Filipinos desperately re-cook and eat leftover food they get from garbage bags just to alleviate hunger. This television plug was created by Mark Awiten of ABS-CBN's Creative Communications Management team. In the Music Video: Low Budget category, the Kapamilya Network earned a Bronze World Medal for its "Boto Mo, iPatrol Mo" music video. This project was launched as part of ABS-CBN's overall campaign to promote election vigilance and awareness among the youth. The anthem was sung by various OPM artists such as Aia de Leon of Imago, Ebe Dancel of Sugarfree, and Raymund Marasigan of Sandwich. The Kapuso Network took home a Bronze World Medal for its special documentary Planet Philippines. 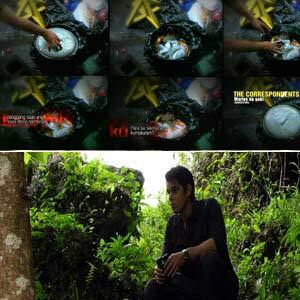 The GMA-7 documentary hosted by Richard Gutierrez won in the Environment & Ecology category of the New York Festivals. Three other Philippine entries received Finalist Certificates in their respective categories. One of them is the GMA-7 docudrama Case Unclosed (for the episode "Melissa Roxas"), which tackled the torture case of a Filipino-American who was accused of being a member of the New People's Army. GMA-7's sister station, Q Channel 11, was also able to field an entry in the NYF that earned a Finalist Certificate. News on Q, a late-evening newscast hosted by Ivan Mayrina and Rhea Santos, along with Winnie Monsod, was honored in the Best News Analysis/Commentary category. The film The Last Journey of Ninoy, produced by Unico Entertainment and directed by Jun Reyes, also received a Finalist Certificate for the category Documentaries. Established in 1958, NYF is an International Awards Group (IAG) that recognizes "The World's Best Work" in news, documentary, information and entertainment programming as well as in music videos, infomercials, promotion spots, openings and IDs. For this year's edition, entries from 35 countries around the globe competed for the prestigious World Medals.